Lately I’ve had such a kick on Middle Eastern cuisine, and this weekend I made a bunch. Happy times. 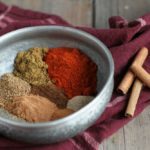 I wanted to first share with you the spice blends, so that you’ve got everything in place to begin cooking. It’s also so satisfying to make your own spice blends. You know exactly what’s in there, and you learn so much in the process too. What flavors work together and what spices each cuisine likes to use. The first spice blend I’ll share, is this super delicious baharat. 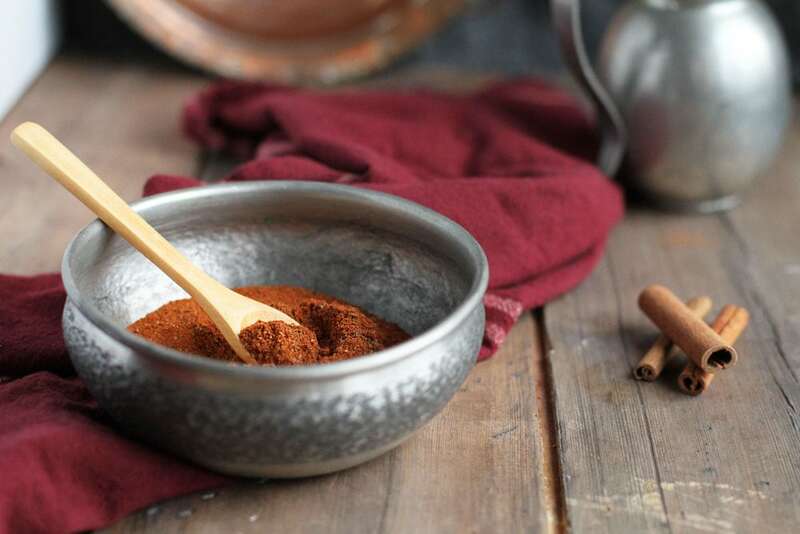 Baharat just means ‘spices’ in Arabic. 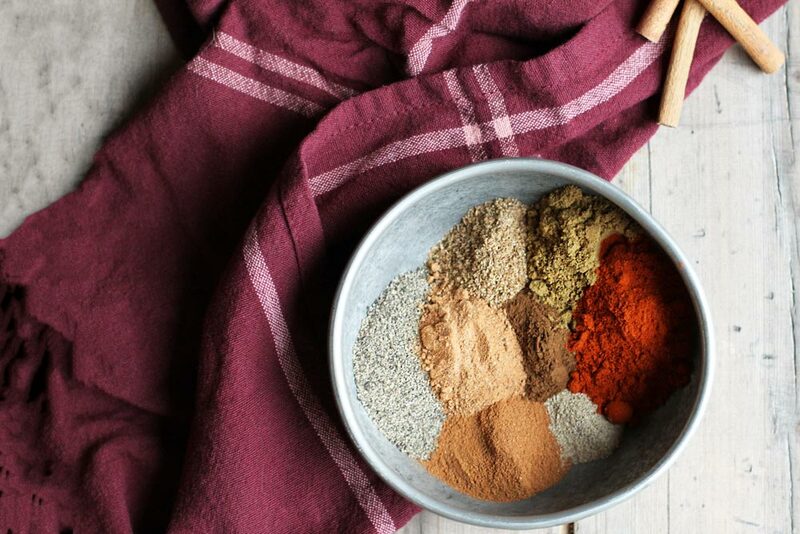 It is such a fragrant and mouth watering spice blend. Full of ingredients such as pepper, cardamom, cinnamon, cloves, cumin and paprika. It does contain a lot of ingredients, but it’s totally worth it. I was almost jumping up and down in my happy dance when I smelled this mix. No joke. Where has baharat been all my life? Totally missed out on marvellous Middle Eastern cuisine. 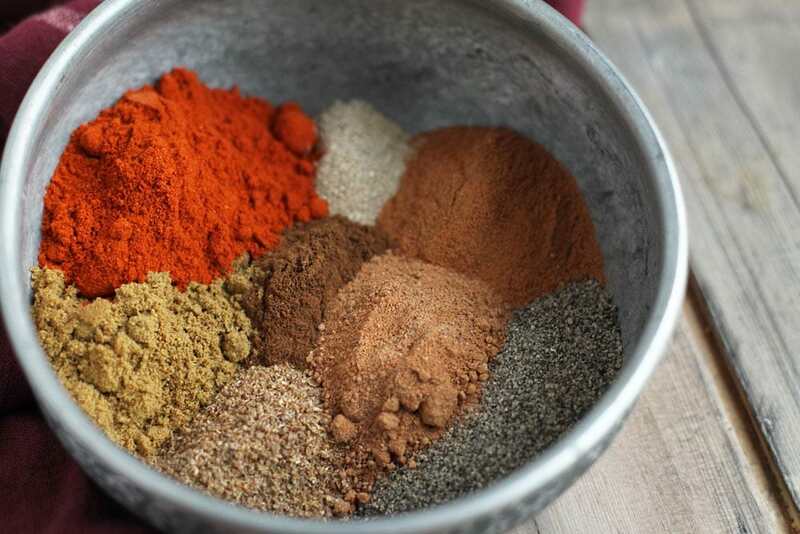 You can use baharat as a dry rub on meat, or mix it with a little bit of olive oil to make a marinade. You can sprinkle some with sea salt over caramelized onions (for Mujaddara rice). Mix with olive oil and spread on top of naan, flatbread or any kind of bread really. Maybe instead of garlic and cilantro, sprinkle baharat on these naan? You just have to try it on different things, and eventually you’ll know just what you want baharat on (which is basically everything). I used ground spices for this mix, but you could also just use a spice grinder and grind the spices up yourself. I will try that the next time, but still, this smelled so goood so it’s no rush. This recipe is adapted from Genius Kitchen. I hope you’ll like it! Please tell me what you think, either in the comment section below or tag me @thegingerwithspice on Instagram. And don’t forget to Pin it for later! 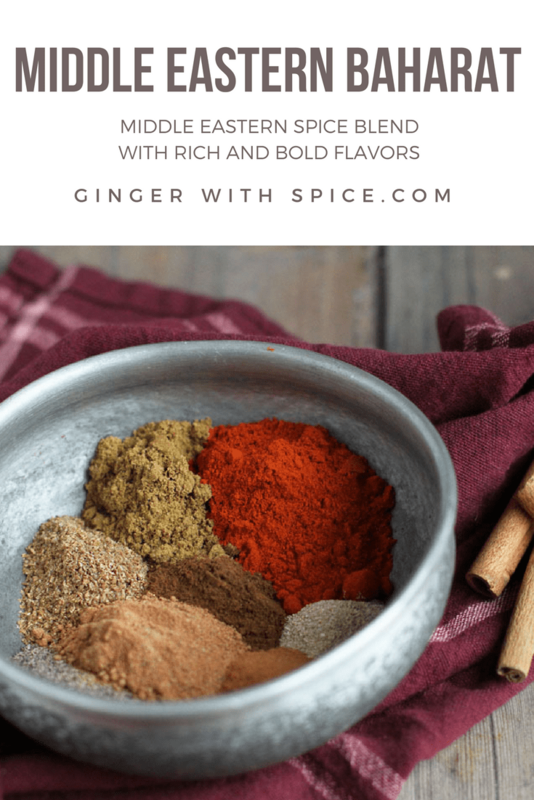 A very versatile Middle Eastern spice blend that is so fragrant and rich in flavors of cinnamon, cardamom, cumin and so much more. Mix all the spices together and store in an airtight container. Keep away from direct sunlight. Enjoy as dry rub on meat and vegetables or mix with olive oil to make a marinade. Mix with olive oil and spread on any kind of bread. Sprinkle over rice or caramelized onions. 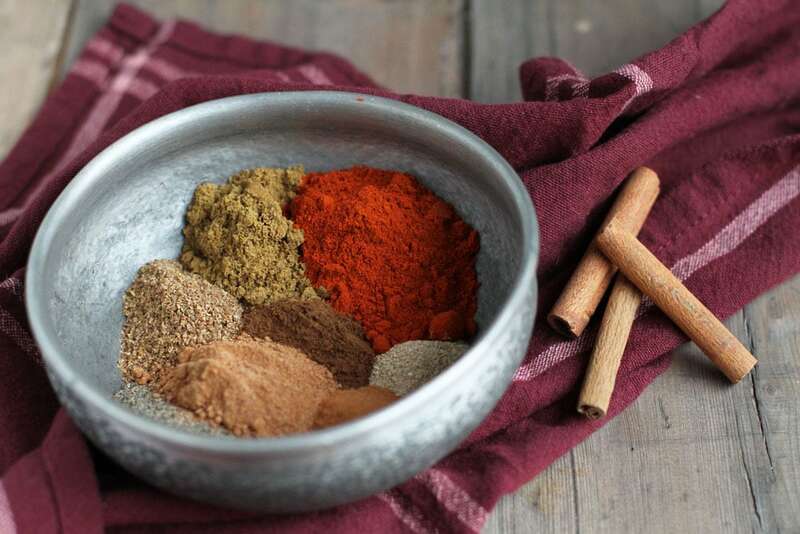 Get lost in the Middle Eastern cuisine with your own mix of baharat!